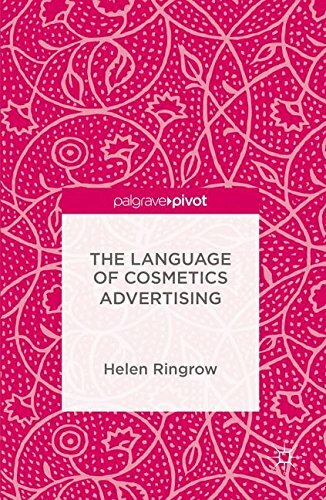 This book offers a cross-cultural comparison of French and British cosmetics advertisements and explores how the discourse of beauty advertising represents ideas about femininity in French and English language contexts. As the global beauty industry expands and consumers become more critical of the claims made, the topic of cosmetics advertising discourse is examined using Feminist Critical Discourse Analysis. One common theme underlying most cosmetics advertising discourse is that the female body always requires ‘work’ to fix its ‘problems’: flat skin, dry hair, and so on. The author uses themes of language and gender, media and identity, and advertising across cultures to expose exactly what is going on in the language of cosmetics advertising and to offer a first step towards challenging these ideas and thinking about alternatives. View More In Marketing & Sales. If you have any questions about this product by Palgrave Pivot, contact us by completing and submitting the form below. If you are looking for a specif part number, please include it with your message.